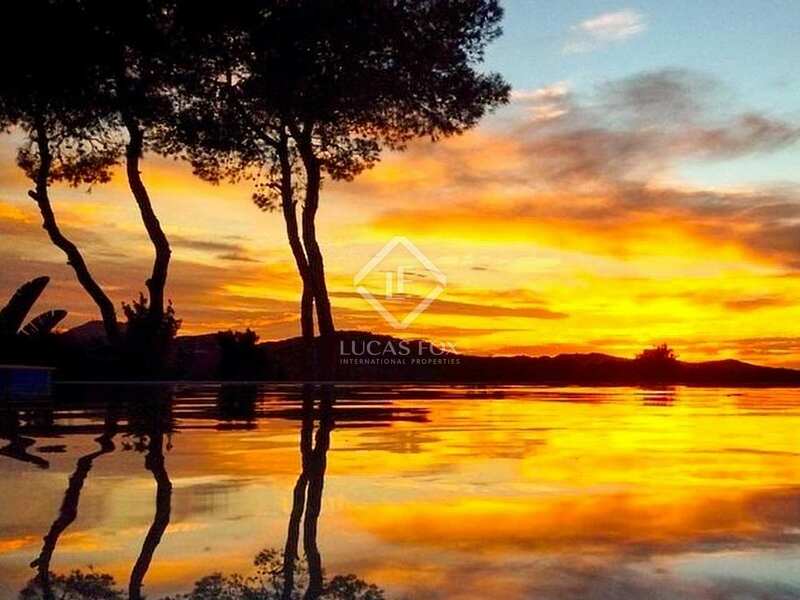 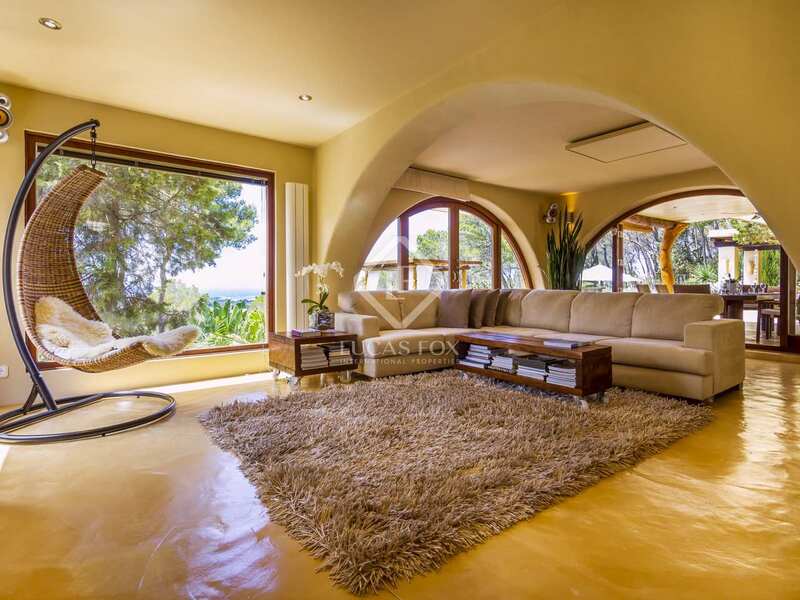 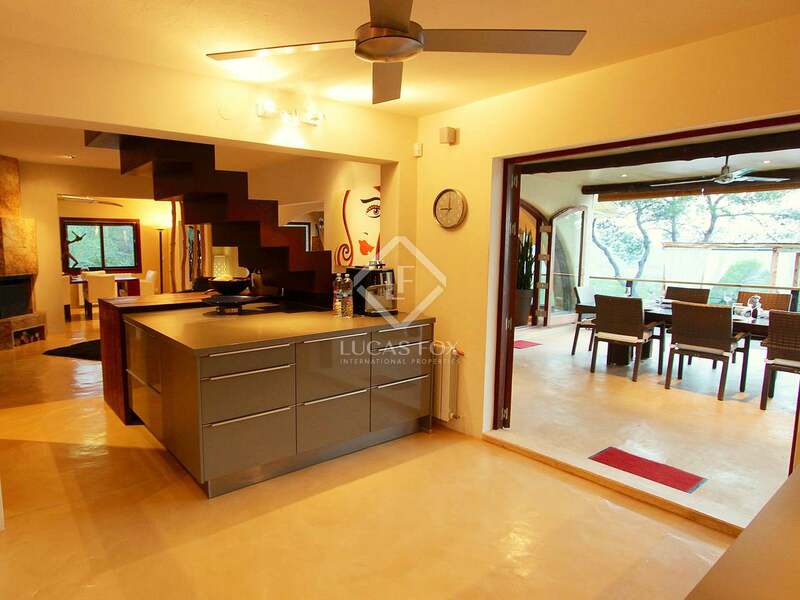 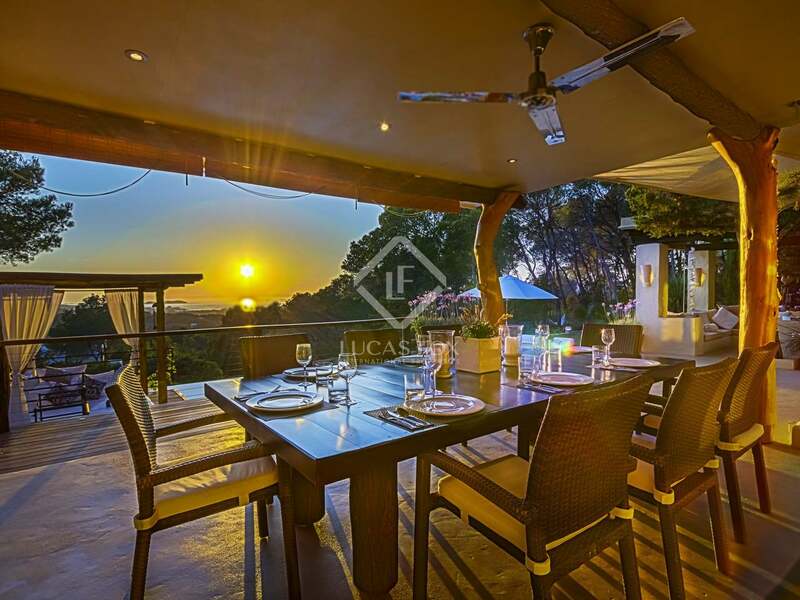 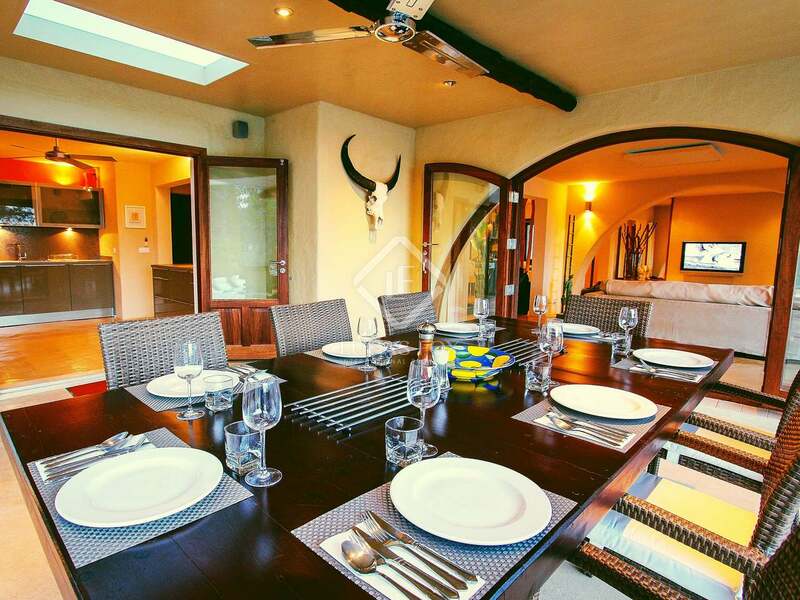 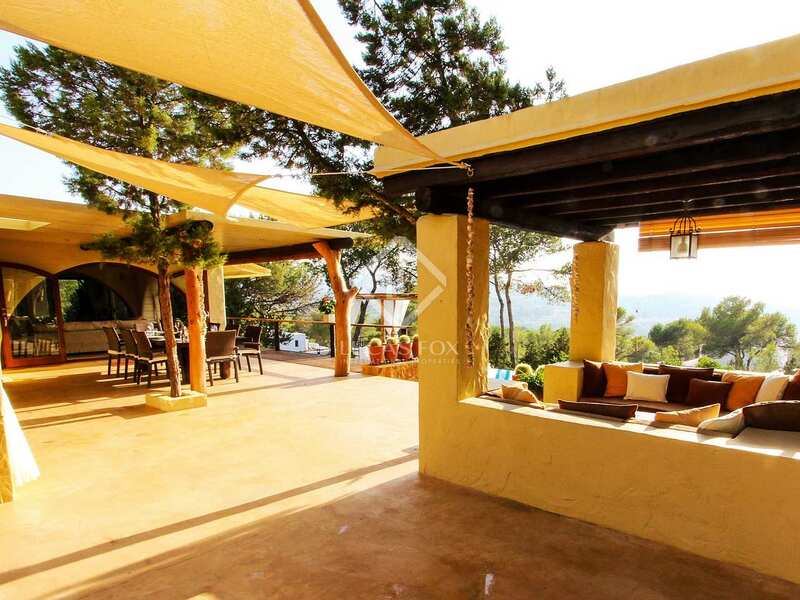 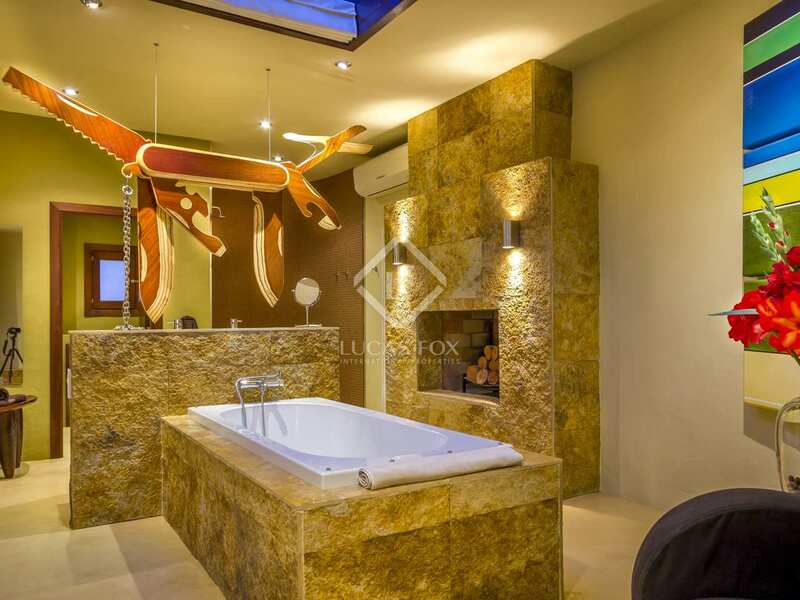 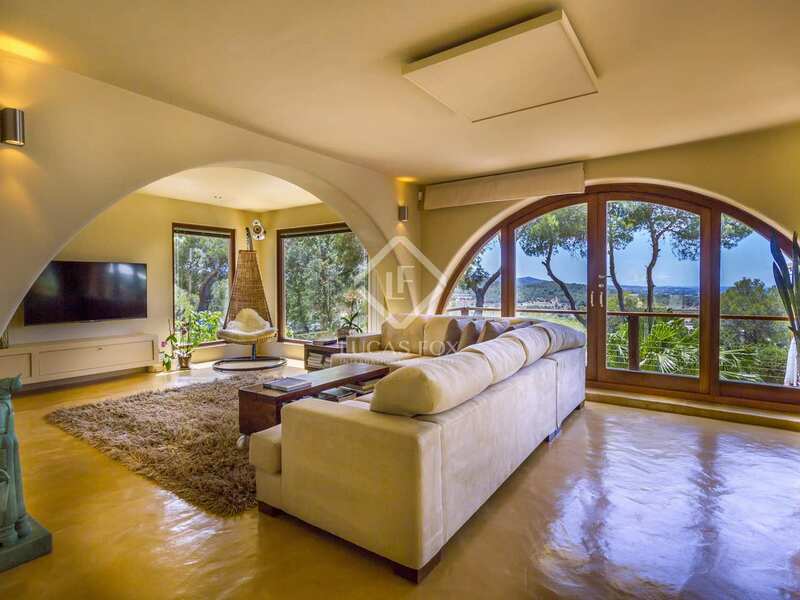 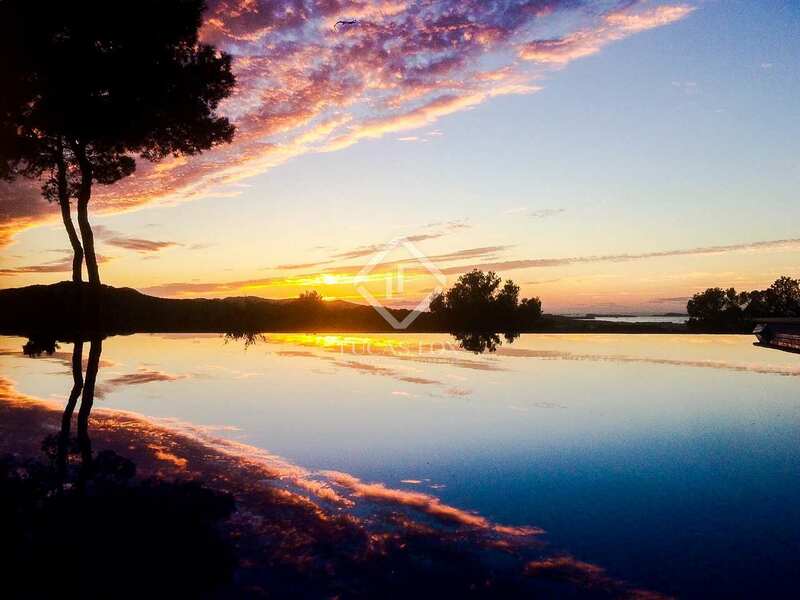 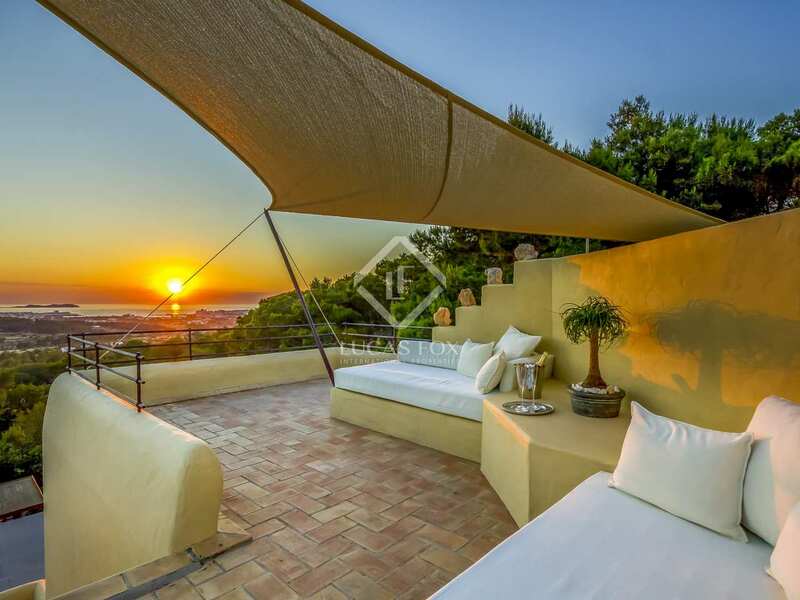 Set in wonderful seclusion on an enclosed 2,000m² plot surrounded by beautiful landscaped gardens and a pine forested hillside, this charming villa combines modern luxury and rustic charm to create the perfect Ibiza home or rental property. 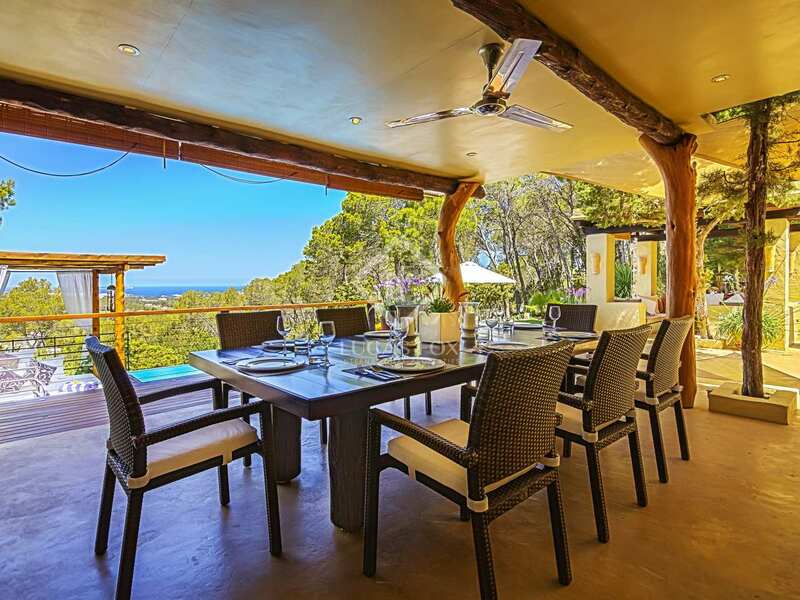 The house is designed and oriented for universal access to amazing sea views and spectacular sunsets from inside and out. 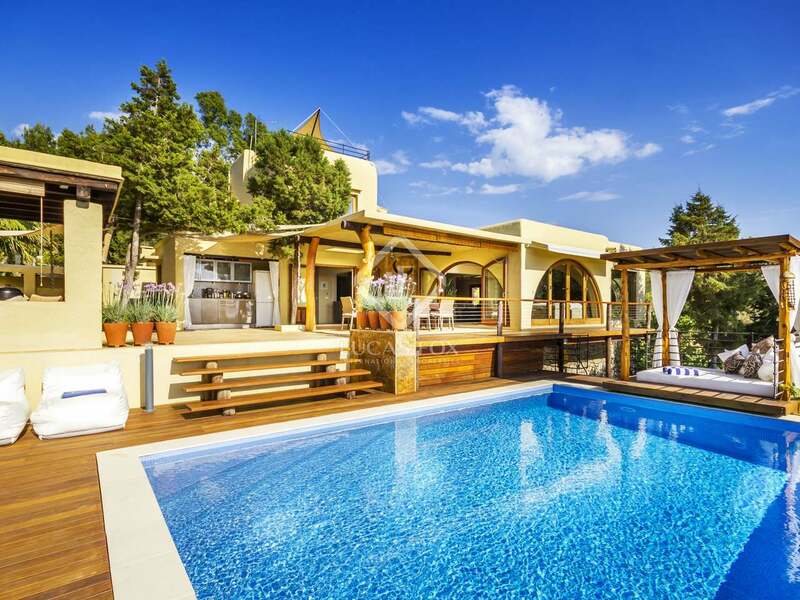 These stunning vistas can be enjoyed through the many picture windows or while al fresco dining or enjoying a cocktail on one of the villa's many open or covered terraces and quiet corners, all of which ooze comfort and privilege. 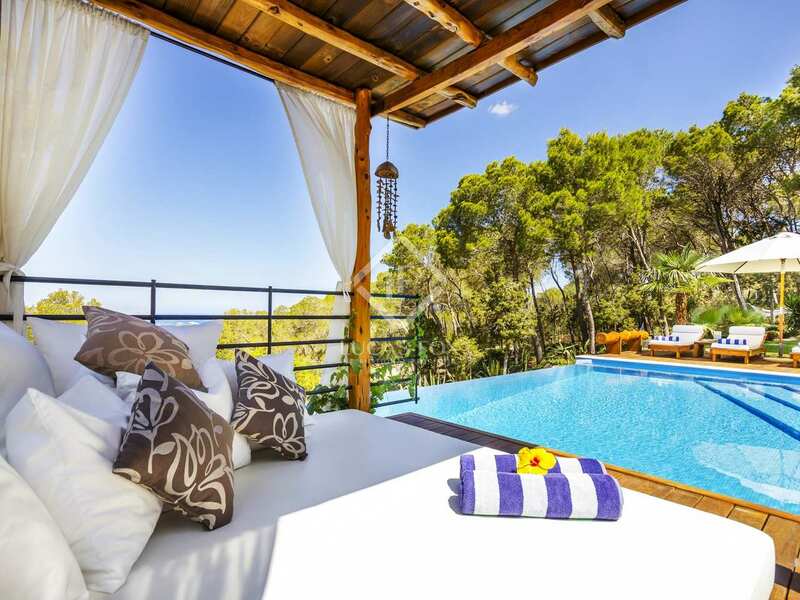 The central focus outdoors is the wonderful solar-heated infinity pool with its warm wooden sundeck featuring loungers, daybed, cushioned chill-out cabana, bar and barbecue/paella summer kitchen. 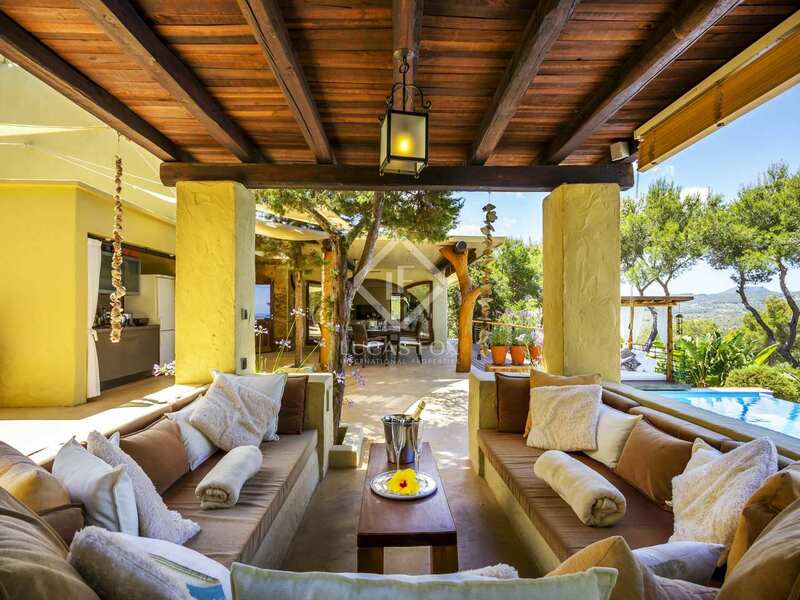 A path leads through the mature gardens, past terraced beds with plants from around the world and through two lawn areas and beyond the pine trees and cacti where hammocks and a shaded dining area wait among the trees. 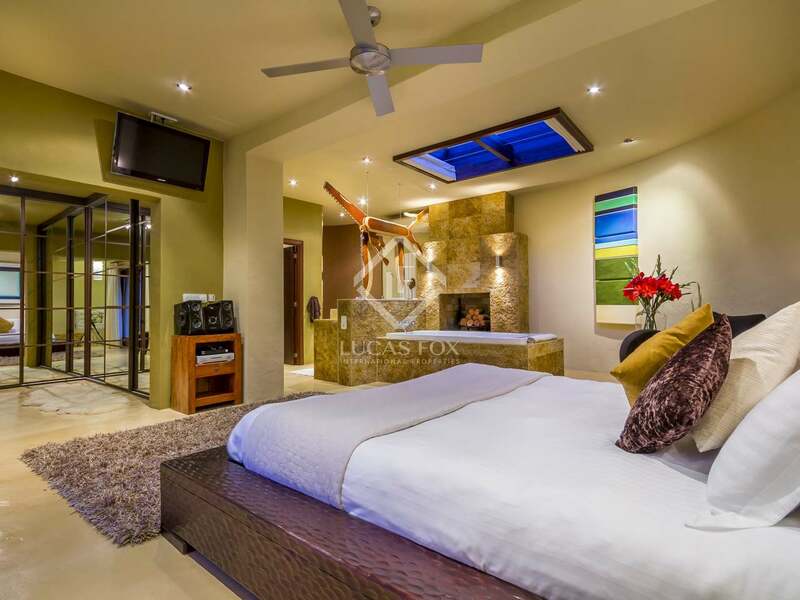 The two upstairs bedrooms each have their own access to the roof terraces. 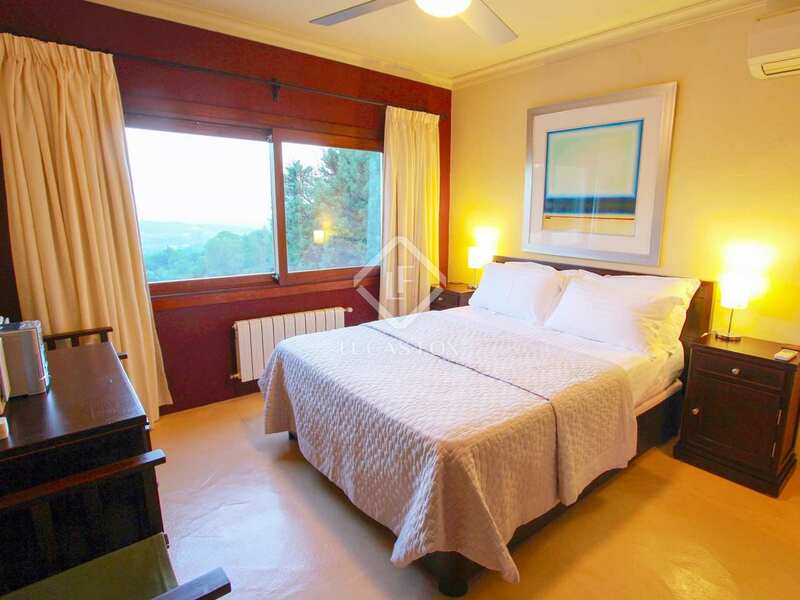 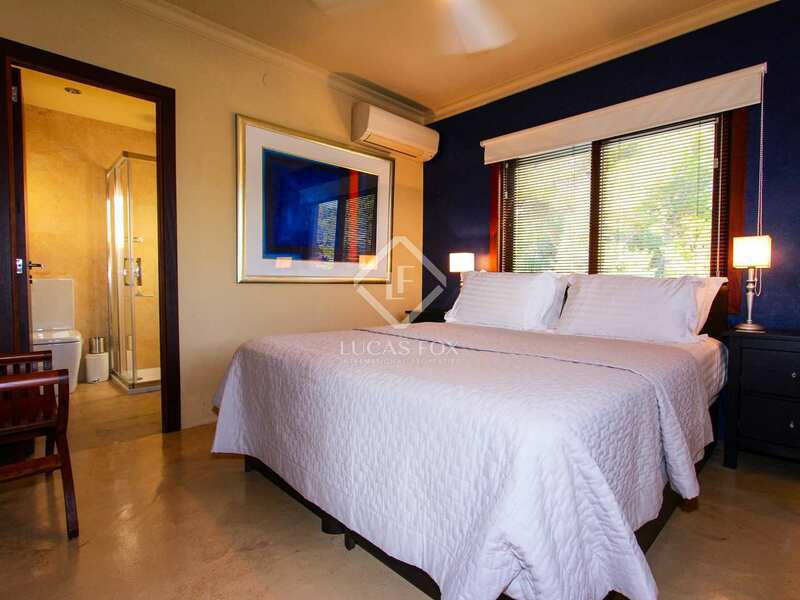 One bedroom enjoys the sea and sunset views while the other has a relaxing double-aspect view of the gardens. 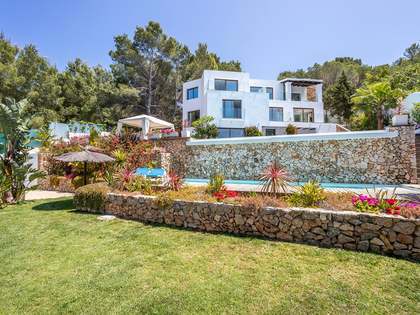 Other features include the Koi pond and boules area, and once you've entered through the remote-controlled security gates there's parking for 6 cars, with 2 shaded bays. 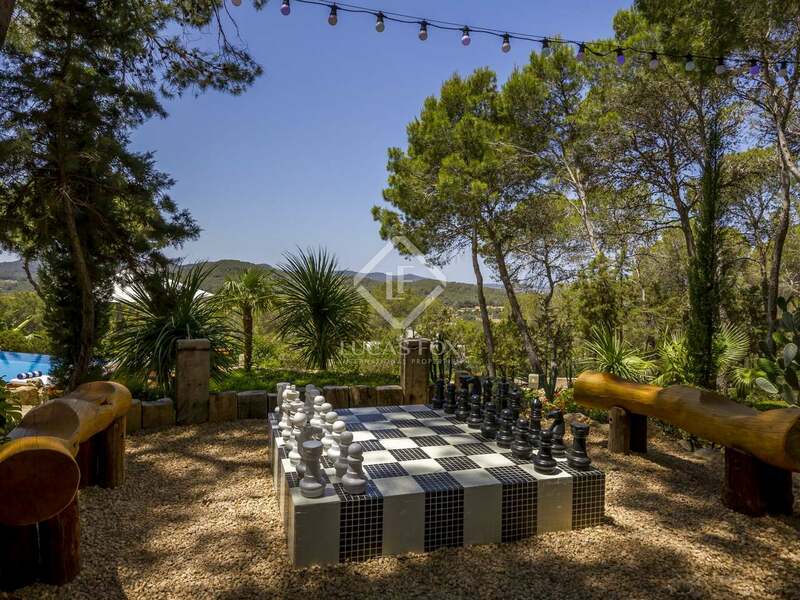 This property sits in a privileged hillside position in a private cul-de-sac near San Antonio on the west coast of Ibiza. 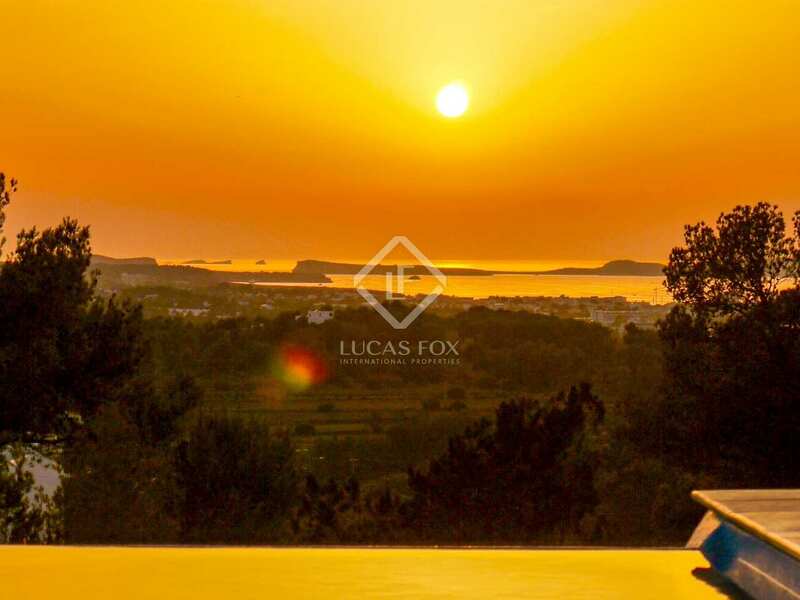 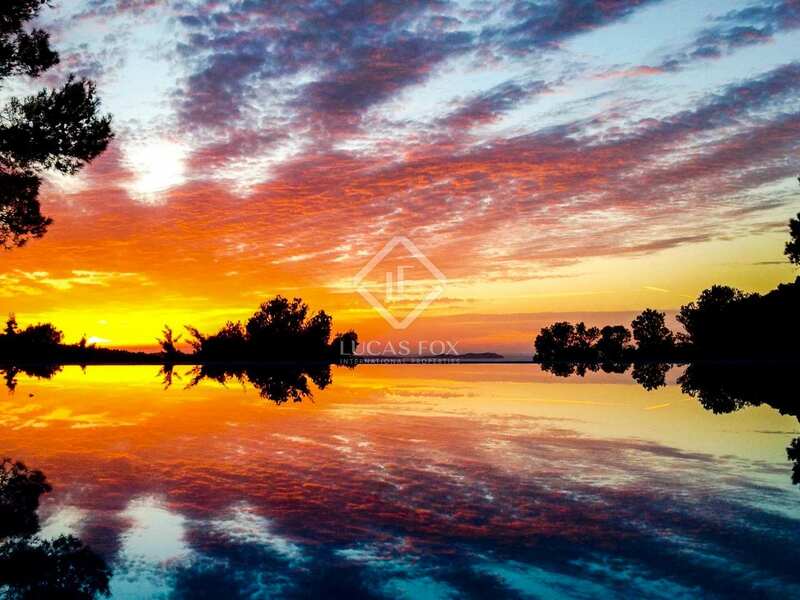 It is perfectly positioned to enjoy the island's famous sunsets. 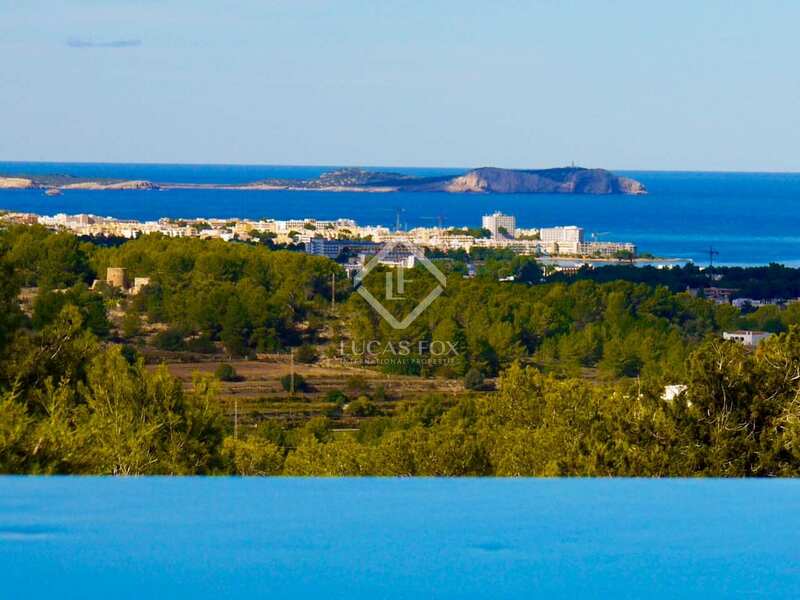 The Ibiza-San Antonio road is less that 2 kilometres away which provides excellent communications with both towns, making it easy to access all the world famous social and cultural wonders of Ibiza Old Town and the rest of the island. 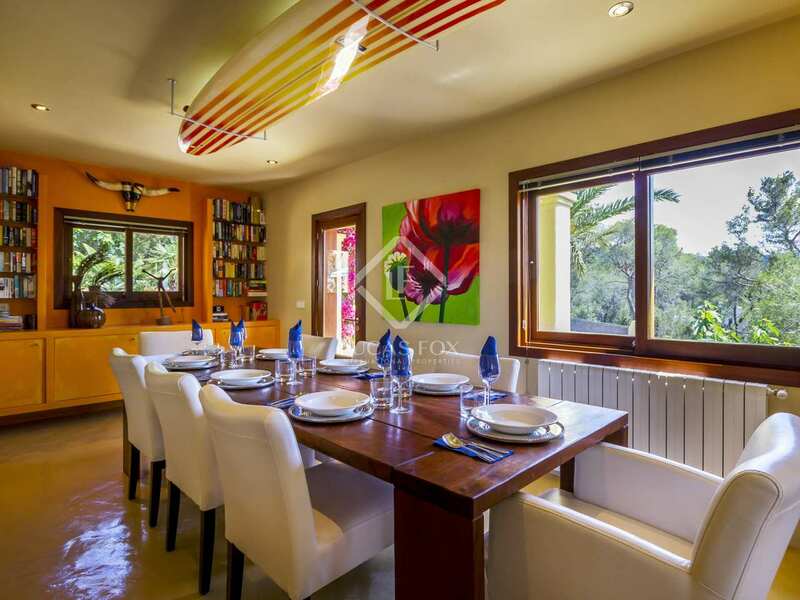 The beaches of Cala Bassa, Cala Comte, Cala Salada, Cala Gracio/Gracionetta and Salinas – with the Jockey Club, Sa Trinxa and Malibu beach restaurants - and Cala Jondal - with the Blue Marlin – are all just 10-25 minutes away. 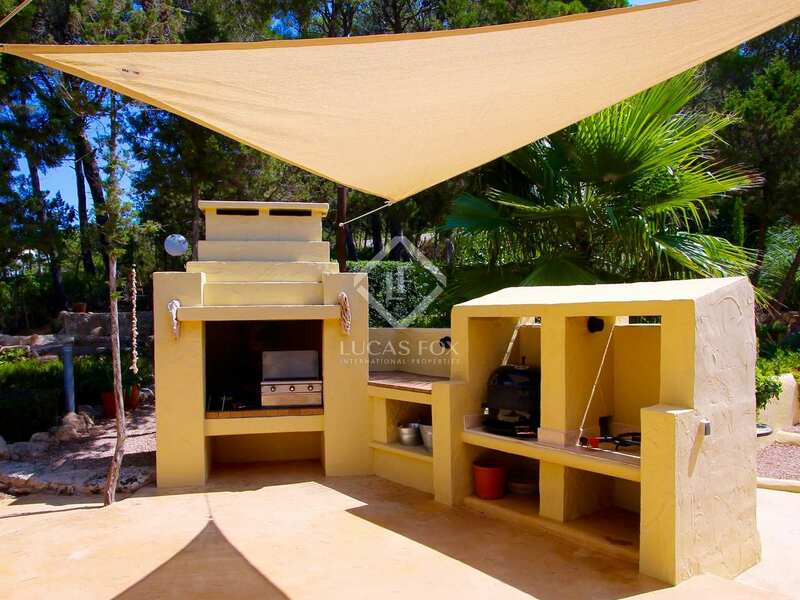 The village of Sant Rafel is just down the road and boasts one of the island's best butchery barbeque restaurants - Can Pilot - as well as two upmarket eateries, La Belle Ibiza and Elephant. 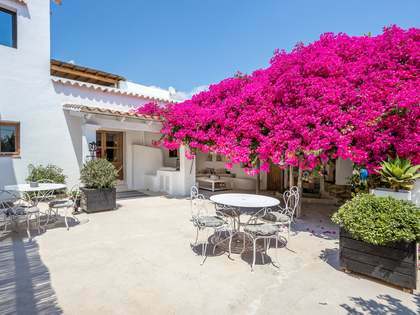 San Antonio is a 10-minute drive away and offers the Sunset Strip with its famous Cafe del Mar and adjacent Cafe Mambo, Savanah and Mint. 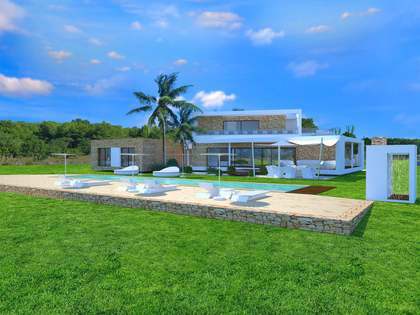 It is only 25 minutes to the island's golf course. 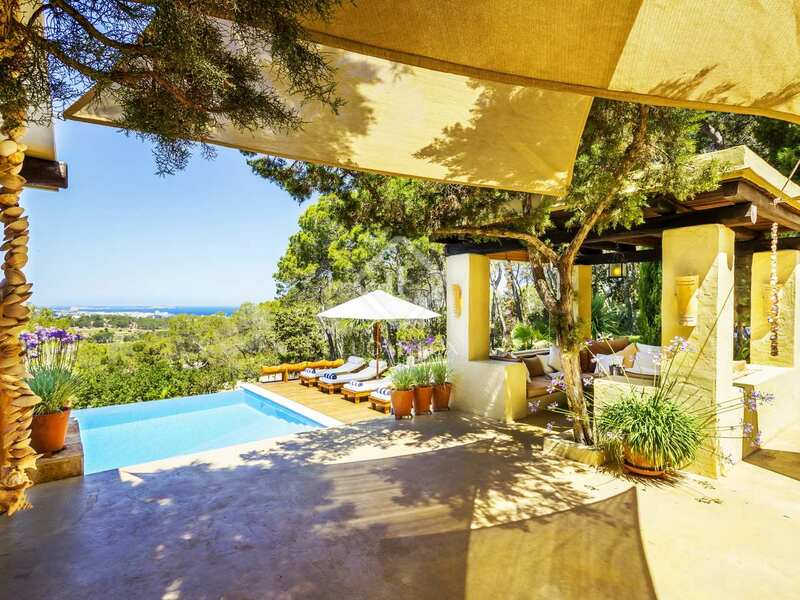 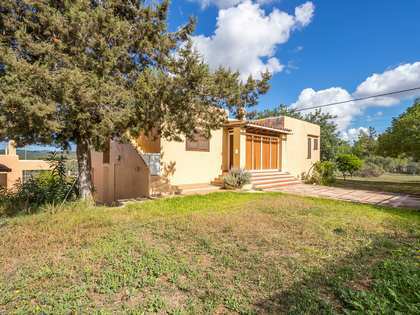 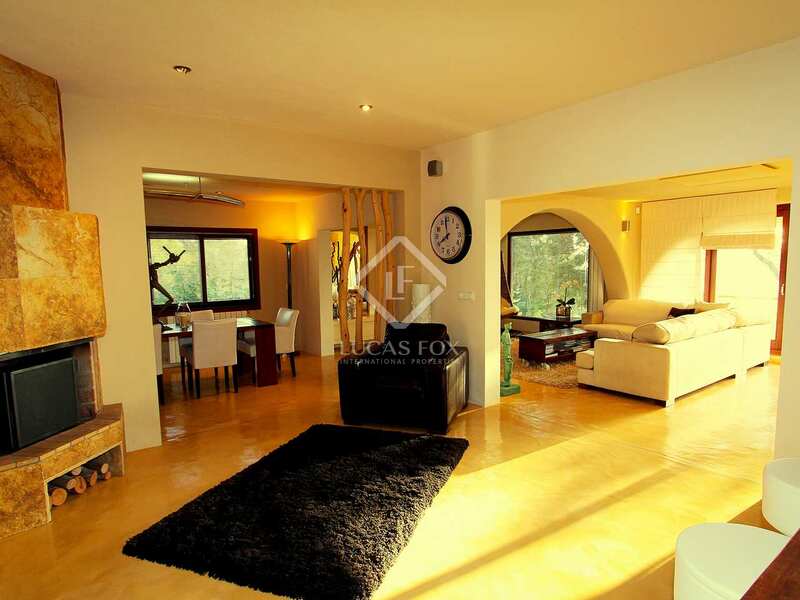 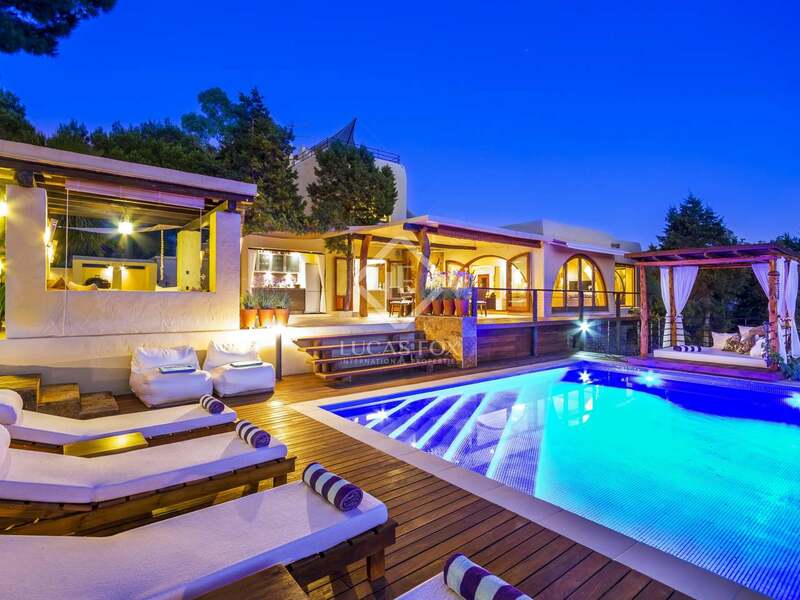 Ibiza airport is just 17 minutes away by car and adds to the international appeal of this superb property.